Elephant: A father elephant protects its offspring from the beast’s age-old enemy seen lurking in the tree: the dragon. Beaver: Hunted for the curative properties of its testicles, a beaver is shown sacrificing its organs in an attempt to escape capture. Ibex: The shock-resistant ibex breaks its headlong fall with its powerful horns. Hyena: The hyena is reputed to feed on the flesh of the dead. 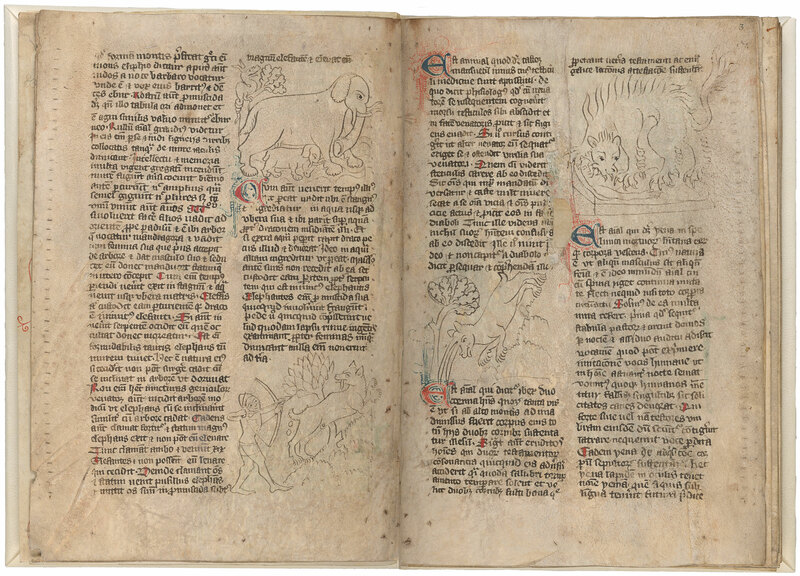 The passage on the hyena is one of many anti-Jewish barbs in the medieval bestiary.